My "real job", such as it is, is getting my Ph.D. in evolutionary biology at UIC. I don't talk about it much here but I am celebrating finishing my field work this week so I thought I'd do an occasional post describing my project and what I'm doing this summer. I can't go into a lot of detail unfortunately because I don't want to give away any conclusions until I can publish them! 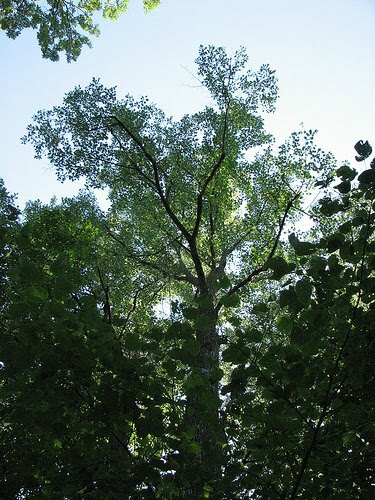 There are roughly 25 species of Tilia worldwide. Although it's in the largely tropical Malvaceae family (along with hibiscus, cotton, and mallow), the genus Tilia is found entirely in the temperate northern hemisphere, and all its species are trees. The North American basswoods are found from the Atlantic to the 100th meridian (eastern Dakotas and straight south), southern Canada to the Gulf coast, and in mid-altitudes throughout Mexico. The trees can get really tall, typically 23-40 m at maturity. If not disturbed, they can live up to 200 years. However, since the roots resprout readily, a basswood that has been cut and resprouted may be much older than that. All members of the genus have more or less toothed, heart-shaped leaves but the real key to identification is the leafy bract that subtends the cymose inflorescence. (Cymose means the inflorescence is a cyme, which is something like an umbel but is determinant; it doesn't have more embryonic flowers emerging in the center.) The inflorescences are heavy and hang down below the bract. 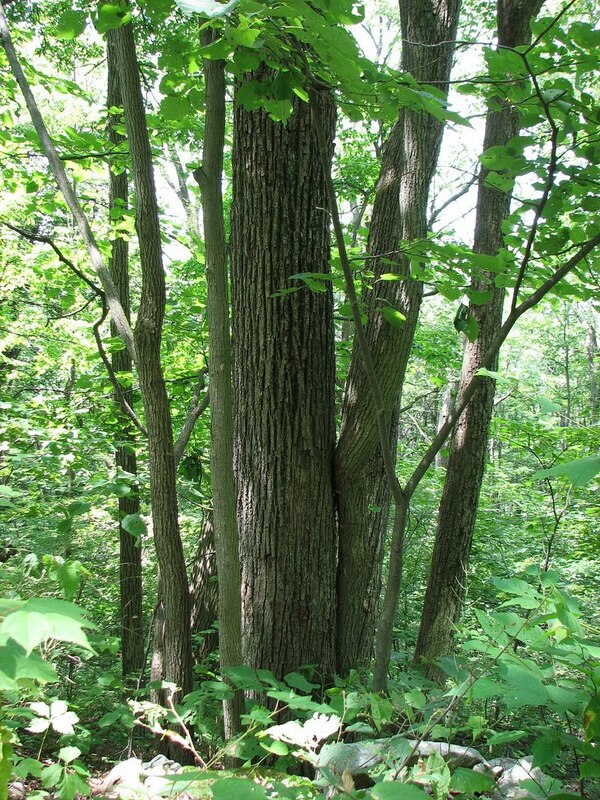 Basswood is one of the few insect-pollinated forest trees in the eastern U.S. It is just finishing its flowering in the Chicago area right now. The trees emit a heavy, sweet nectar smell and are a favorite with bees. The two shades of green, leaves and bracts, make basswoods easy to spot. I have myself visited and sampled over 50 natural populations of basswood in North America. Other very helpful people have sampled sites for me when I could not visit myself. I collected the final specimen from a forest preserve near Chicago a few days ago and now have over 700 samples. Next time I will tell you what I do with them! Wow, this is cool. I just used Tilia on a project for the first time. She wanted T. tomentosa, but we could only source cordata locally. They are included on local street tree lists, do they seem to make a good street tree? (beds 5' wide between curb and sidewalk). Thanks for the explanation. I was just going to ask what you do with the samples, but I can see I have to be patient. Can you tell me what parts of the tree you collect as samples? 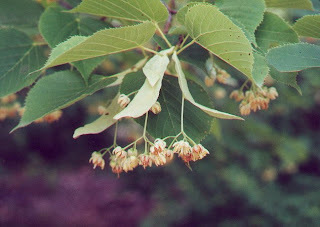 Laura - the European and Chinese tilias do make good street trees, and there seem to be a lot of T. americana cultivars nowadays as well that stay a bit smaller than the native species. Tomentosa and some of the Chinese species are fuzzy and white on the leaf undersides. Pretty! Check out T. mongolica for cool leaf shapes. Monica - I know you requested an explanation of the project a long time ago, and I haven't forgotten! The photo of the specimen pressed onto paper is pretty typical of what I collect from each tree. Where I couldn't get permission to take that much, or someone volunteered to mail me a bit, I just take a piece of leaf, about 1 cm-sq. Looking forward to reading your next basswood post Diane. Congratulations on completing your field work! Very interesting work! There's a huge Tilia in the parkway in front of our Oak Park house, and several smaller ones on our neighbors' parkways. They're gorgeous, but awfully messy; armloads of twigs come down every spring. Last month (June) was awesome in Chicago, especially around the UIC campus, because of all the basswood blooming. I miss the smell of the flowers already. June: Where are the flowers? ?